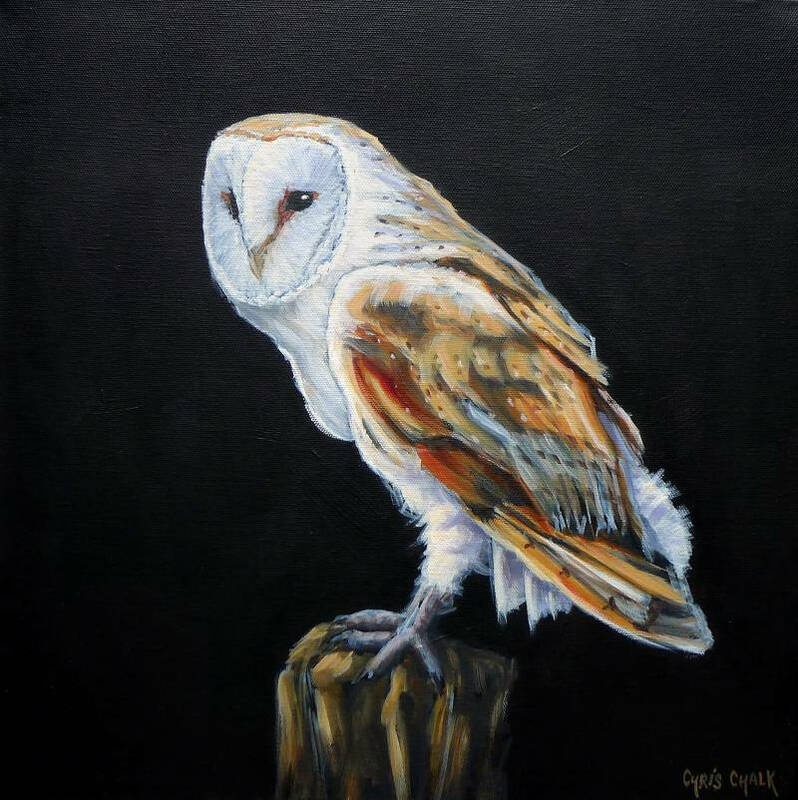 One of the UK's most beautiful birds of prey, barn owls are also one of my personal favourite birds, so painting this picture was a joy. 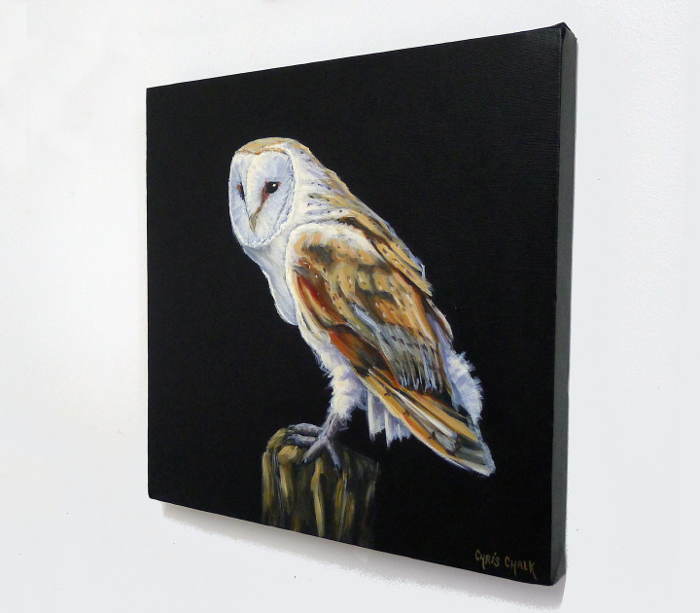 The black background here suggests the barn owl's low light hunting forays, and there is some thick paint and texture in that background to create interest and a little mystery. Painted on Loxley Gold stretched box canvas, 16 inch x 16 inch x 1.5 inch - This painting can be framed, or hung un-framed as shown.